Another Free Pattern is in the bag matey! Again Birch Quilts has partnered with the effortlessly stylish & quilting woman of the year, Suzy Quilts! 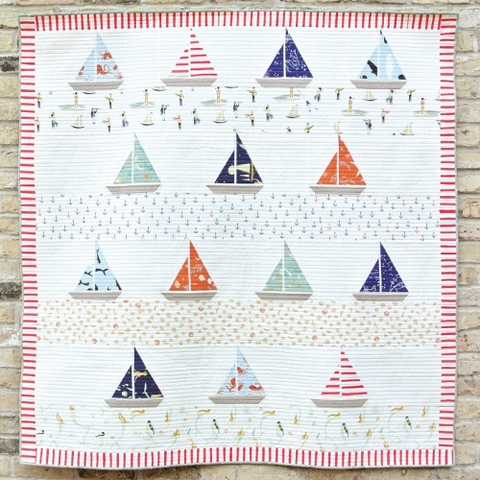 The Ahoy Sailor Quilt Pattern is a fantastic choice for a sweet baby boy! We love that you can switch out the fabric of the sails to feature just about any Saltwater fabrics that you choose.